Phnom Penh (FN), Feb. 14 – Cambodian Prime Minister Hun Sen urged Cambodia and Indonesia to deepen ties and promote economy, trade, investment, tourism, and culture, speaking in a courtesy call from Puan Maharani, Indonesian Coordinating Minister for Human Development and Cultural Affairs at the Peace Palace Phnom Penh on Thursday. 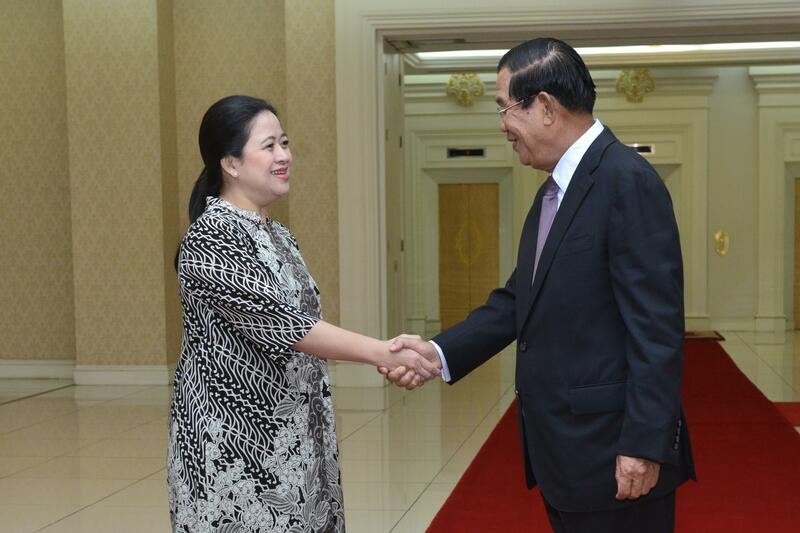 Eang Sophalleth, personal secretary to the premier, told the press that Puan Maharani’s visit aims to celebrate the 60th anniversary of diplomatic relations between Cambodia and Indonesia, which was initiated by the late King Father Norodom Sihanouk and former Indonesia President Sukarno on 13 February 1959. 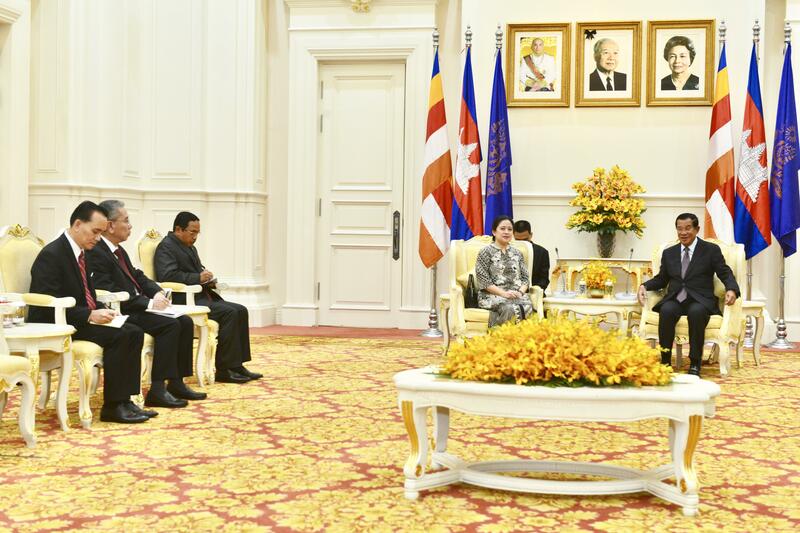 “The official diplomacy was created by our predecessors, yet continuously expanded by the descendants like us,” the premier told H.E Coordinating Minister. 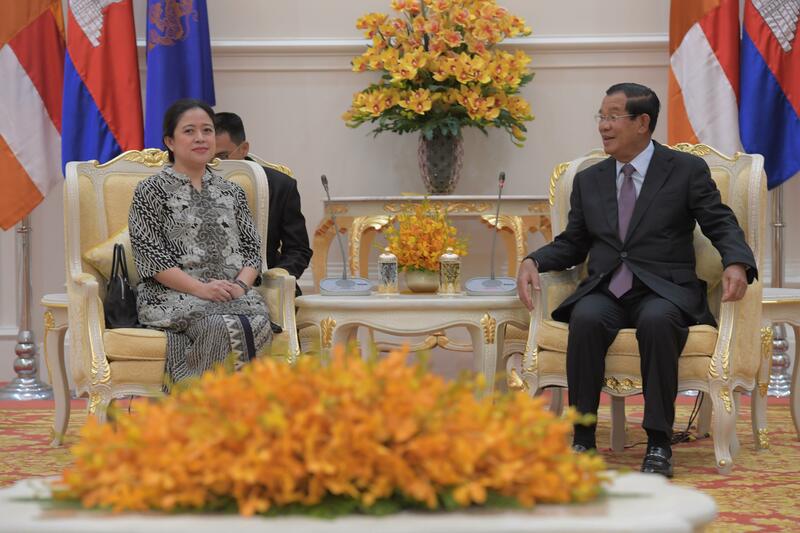 Prime Minister Hun Sen expressed his gratitude to H.E Puan Maharani for visiting Cambodia and brining with her talented artists to celebrate Joint Cultural Performance at Chaktomuk theatre to mark the 60th Anniversary of Diplomatic Relations. Prime Minister highly commended the significant role of Indonesia in contributing to peace and development both in the region and in the world over the past 60 years. 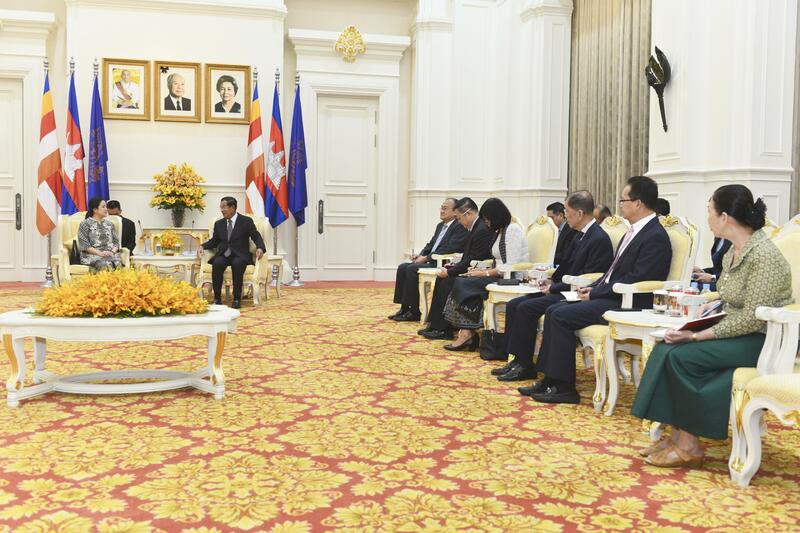 In particular, Indonesia has contributed to the peace process in Cambodia by leading the JIM I and JIM II meetings and co-chairing Paris Peace Conference; sending peacekeepers to Cambodia, and providing trainings and building human resource capacity. 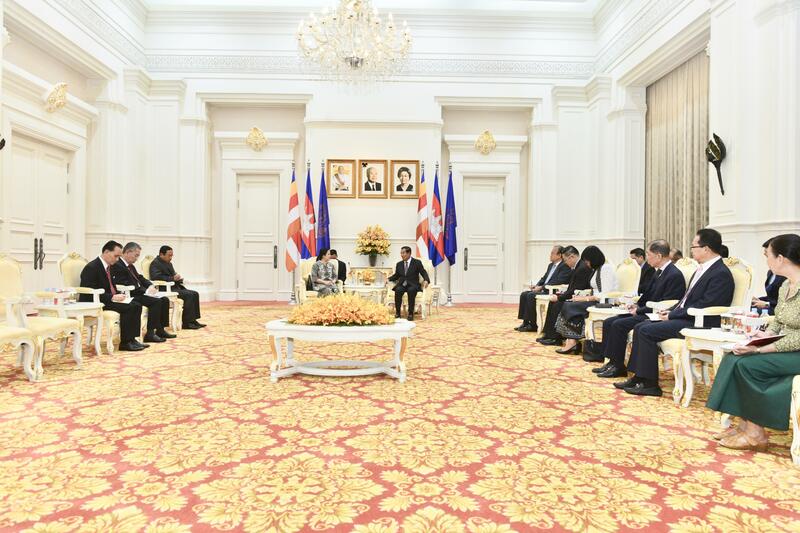 The Strongman of Cambodia urged Cambodia and Indonesia to strengthen and deepen bilateral cooperation, and expand economic, trade, tourism, and cultural cooperation, particularly promote all-level of exchange visits.